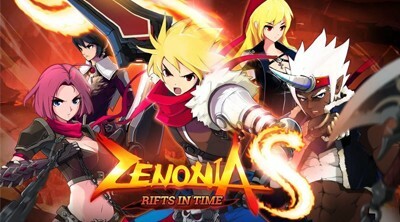 GAMEVIL is proud to announce the official global launch of their highly anticipated action RPG mobile game ZENONIA S: Rifts in Time. Now available to download from the App Store and Google Play. Soft launch event is finally over where numerous bugs were fixed, almost all parts of the in-game features were redesigned to eliminate abuses for example, and even making a bold move by changing an equipment system that gamers got used to, into a whole new one ("tier up system") which made soft launch players a little displeased and confused after the said patch. Well this is "soft launch" anyway so we expected such drastic changes from Gamevil. 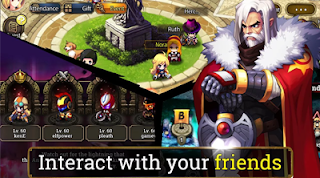 Now that everything is set, the world’s most popular mobile RPG, ZENONIA®, is now globally online! The mobile game will be available in U.S. and other regions, including their iOS version which will be available as well, yup finally. 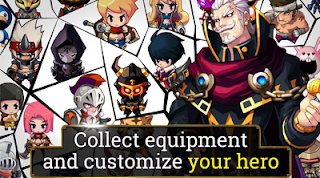 Choose from your favorite ZENONIA® characters: Slasher, Ranger, Fighter, Magician or Assassin and Travel across nine treacherous realms to uncover the mystery behind the portal. Battle monsters, make friends, and punish challengers all from your mobile device in real time action. Test your survival skills in the Monster Wave mode and join a co-op Raid parties to fend off vicious monsters in Raid Mode or Fairy Tower. Use the power of the Soul Stones to awaken your hero and break the limit. Customize your character with over 300 different pieces of equipment, and increase their effectiveness through various enhancements. What will happen to the existing accounts (from soft launch)? - The accounts in Asia/North America/Europe servers will be saved. But brand new servers will open up for China and Japan servers, which means the data from previous version will not be transferred. In which countries will the game be available? 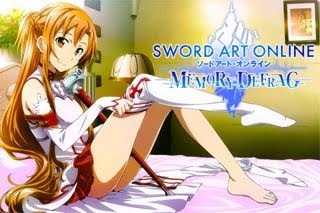 - The game will be available worldwide, meaning it will not be limited to certain countries. However, the game will be supported in 14 languages (KR/ EN/ JP/ CH-S/ CH-T/ ES/ PT/ DE/ FR/ RU/ ID/ TH/ VN/ MY). Will the global version of the game be any different from the soft-launch version? - If you have the latest version (v1.1.0), then not much. But if you have not updated to the latest version, you'll see some new features.